Crucial is one of the biggest players in the SSD market due to their ability to use their own NAND chips, which are manufactured by their parent company Micron. The Crucial BX500 SSD was announced just a few weeks ago, and everybody expected it to use the new QLC flash technology. This isn't the case, though. The Crucial BX500 is built around Micron TLC flash and a Silicon Motion SM2258 controller in the XT variant. 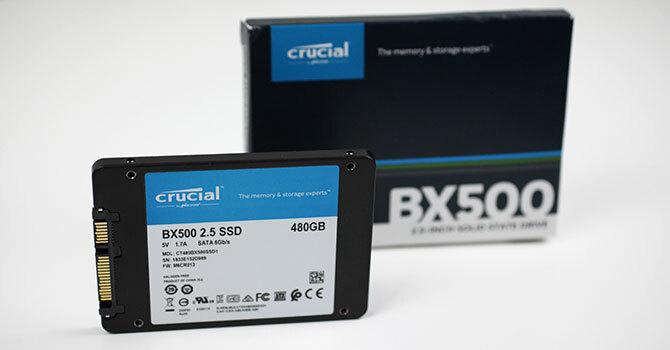 BX500's special feature is that it does not use a DRAM chip, which reduces component cost significantly for new price points that were previously impossible with even TLC-based SSDs. 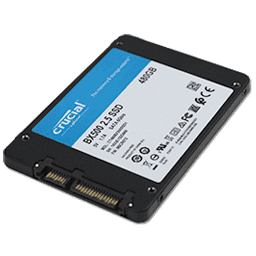 Of course, the lack of DRAM comes with a performance hit, but since the BX500 is targeted at a market where every dollar counts, this shouldn't be much of an issue for consumers looking for an affordable entry-level SSD that will deliver better performance than any HDD out there. For more demanding users, Crucial has the MX500 in their lineup, which is our favorite when you're looking for a good mix of price and performance. The BX500 comes in capacities of 120 GB ($29), 240 GB ($48), and 480 GB ($80), which is the version we are covering in our review today. Warranty is set to three years for all these models. We recently reviewed the Mushkin Source, which is a similar design: competitively priced and with the same controller and no DRAM, it'll be interesting to see how the Crucial BX500 does in comparison.